We’ve lumped these two together because the two regions share most of the same wildlife. 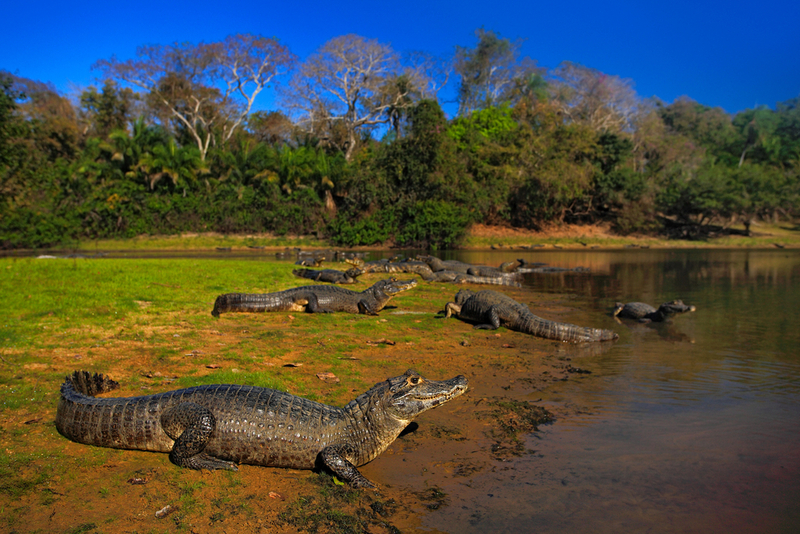 The Pantanal is often called the safari capital of South America and for good reason. The Amazon is unfortunately a peskily vegetated place, but the Pantanal being a wetlands with much less vegetation, makes it considerably easier to see animals such as birds, capybara, giant Anteaters, Tapirs, Monkeys, Anacondas and Jaguars. The Amazon in Brazil. Photo credit: Shutterstock. 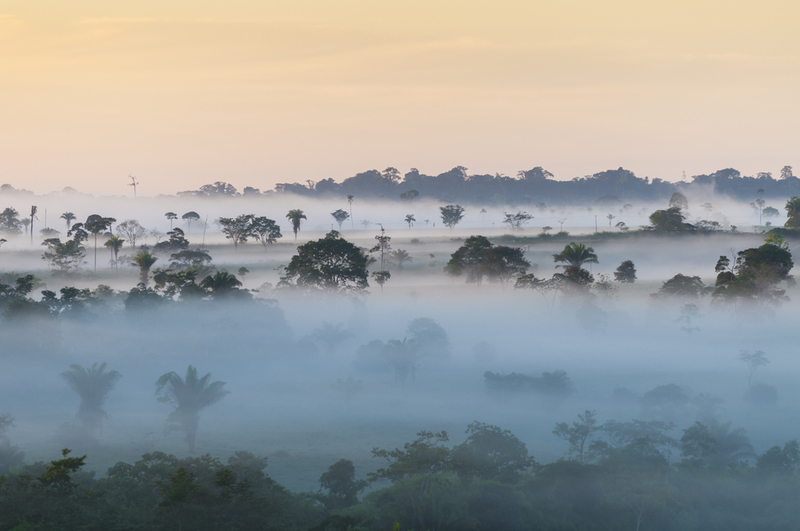 We’re not saying that you shouldn’t visit the Amazon. A visit to the Amazon is also about the Amazonian people, the Amazon River itself and the feel and noise of the jungle (especially at night). But if you’re travelling purely for the wildlife and you need to choose between the two – then the Pantanal is probably your place. The only exception may be if you’re into macro photography of small insects – in that case the Amazon is certainly the place for you! The Galapagos. Photo credit: Shutterstock. The inspiration of Darwin’s “Evolution of the species” is obviously a wildlife area of international significance (Darwin’s theory evolved while studying local Galapagos Finches and noticing how the changed slightly from island to island – bringing him to the conclusion that each subspecies had evolved to the difference environment on each island). 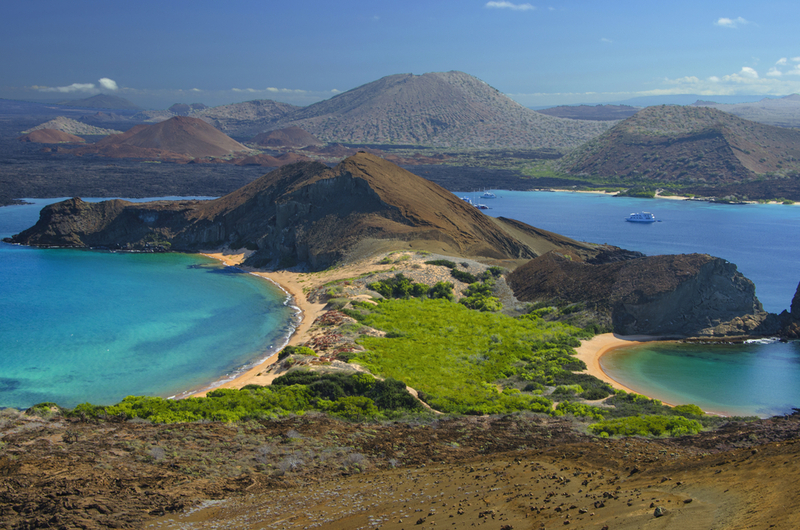 The amazingly abundant wildlife is due to the Galapagos Islands being the confluence of three mightily Pacific Ocean currents. These currents bring nutrients from the ocean floor up to the surface at the Galapagos Archipelago, giving it the abundant marine life it has, and as a result an abundant amount of other animals who subsequently feed off the abundant marine wildlife. There is no greater example of this than the Galapagos Flightless Cormorant. And why is the Galapagos Cormorant Flightless you may ask? Well that’s because the abundance of fish means that the birds merely need to jump off a rock and into the water in order to have a feed of fish – meaning they stopped bothering to fly a long time ago! 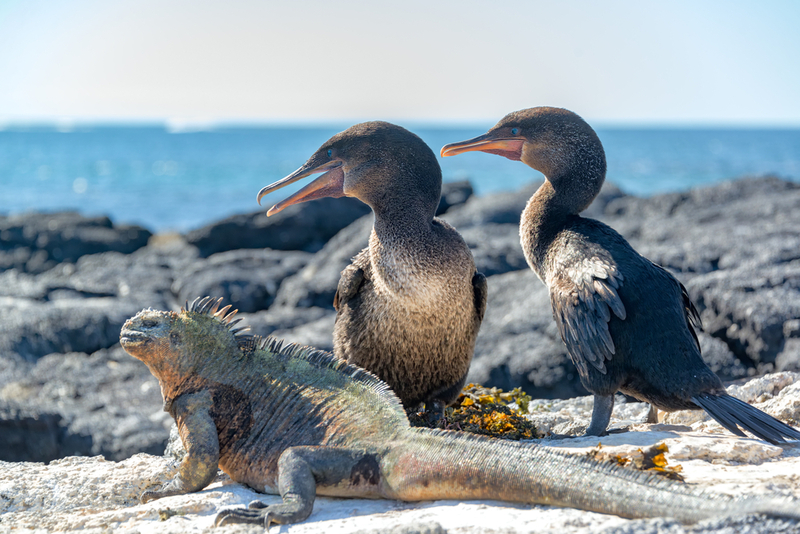 Two flightless cormorants and a marine iguana on Fernandina Island in the Galapagos Islands in Ecuador. Photo credit: Shutterstock. So there are fur seals, sea lions, Galapagos Penguins (the only Penguins present in the Northern Hemisphere, albeit just), Marine Iguanas (again the only Iguanas in the world that have adapted themselves to swim in salt water, in order to feed of the marine wildlife), giant tortoises, turtles, sharks and innumerable bird species including the famous Blue Footie Boobies. In terms of viewing the wildlife, one of the best ways to do this in the Galapagos is just to put some snorkelling gear on and get in the water. Once in the water your head is likely to spin like a top trying to take it all in. But above all of this, possible one of the most striking reasons that you must go to the Galapagos Islands as a wildlife lover is because none of the local wildlife has a fear of humans. You can get amazingly close to almost of the islands’ wildlife without causing yourself of the creatures and major displeasure. Gentoo Penguins on the ice in Antarctica. Photo credit: Shutterstock. I know, I know – it’s not really part of South America. That said, South America is well and truly the gateway to Antarctica for tourism and the Argentina port city of Ushuaia in particular. If you have serious interest in wildlife and you’re looking to go to South America, then you should also be asking yourself if you want to get on a ship and travel to Antarctica (and sub- Antarctica, but more in that in a minute) to see some of the world’s most impressive wildlife areas. Contrary to what you might think there is a lot more wildlife in Antarctica than just penguins. In terms of Penguins themselves, there are 16 species and the majority of them are in Antarctica and the sub Antarctica Islands. There are a wide range of seal species, including by far the world’s largest seal, the Elephant Seal. 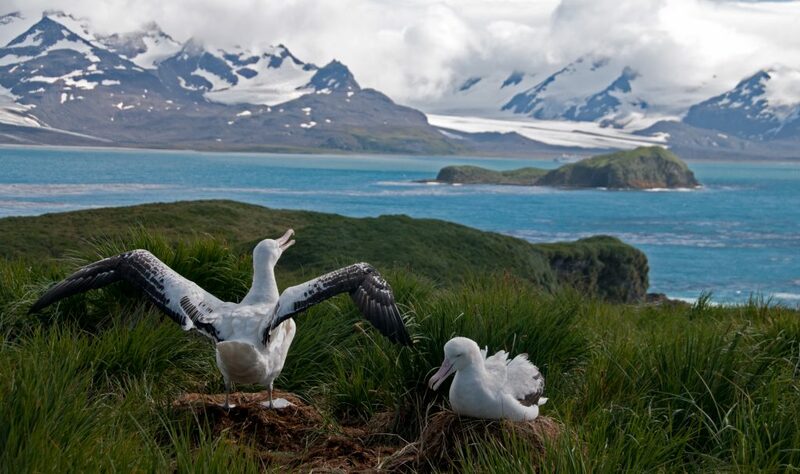 There are whales aplenty and again there is plenty of birdlife, including the bird with the world’s largest wingspan, the Wandering Albatross. The Wandering Albatross. Photo credit: Shutterstock. But back to the Penguins, which are undoubtedly the largest wildlife drawcard in Antarctica. 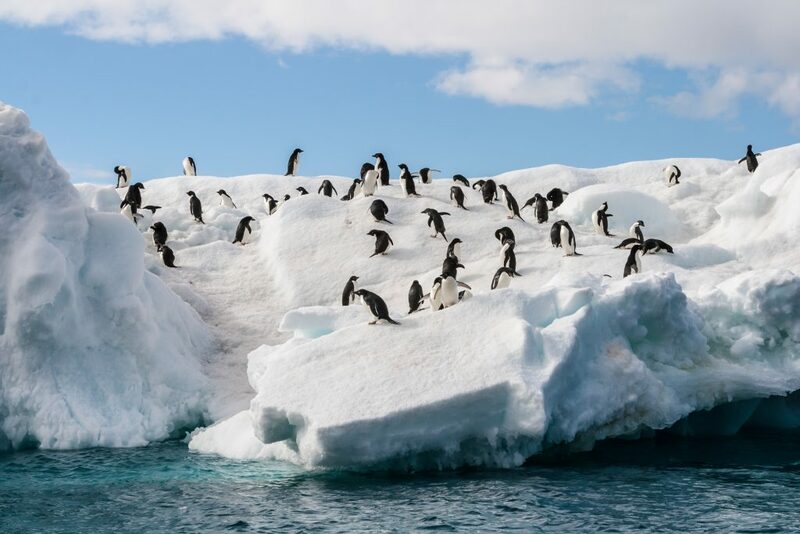 Antarctica certainly delivers in this department and irrespective of ship you take to Antarctica you’re bound to see a dazzling number and variety of penguins. That said, if you’re a true enthusiast and you want to see what I consider to be one of the world’s most impressive congregations of wild animals, then you really need to head to the sub Antarctica islands. The Southern Ocean (the band of ocean circling the planet between Antarctica and Australia, South America and Africa holds a huge amount of marine wildlife). Somewhat like the Galapagos, there are a number of Sub Antarctic islands sitting in the middle of this ocean which attract disproportionate numbers of wildlife, such as birds, penguins and seals. These animals travel thousands of kilometres in the Southern Ocean fishing for food but return to these islands periodically to rest. And rest the do in biblical proportions. 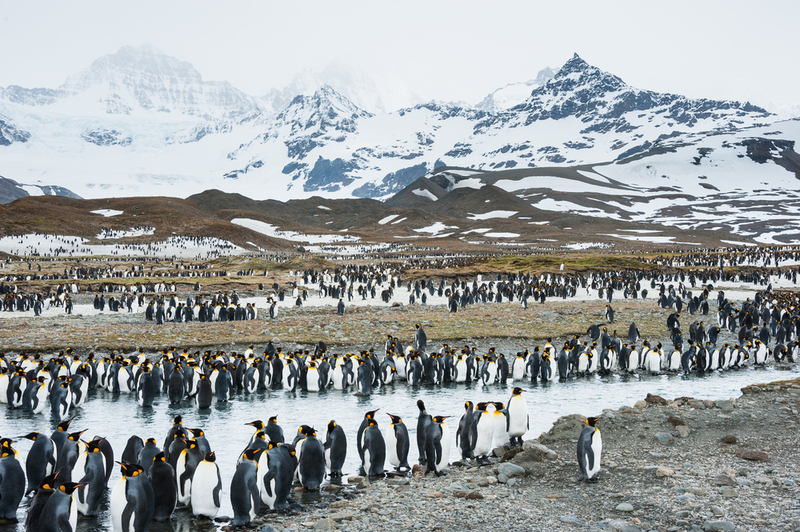 On South Georgia for example (you can take a ship there from Ushuaia in Argentina) there are King Penguin (about the size of ten year old child) in colonies which exceed half a million birds. And that’s just on one beach! These longer (and unfortunately more expensive) journeys to sub Antarctic islands are well worth the time and effort provided you have the budget to spare. Torres del Paine in Patagonia. Photo credit: Shutterstock. Still a relatively untamed wilderness area, Patagonia is really made up of a wide variety of landscapes – from the almost Swiss like forests of the Northern Lakes District to the Volcanic and arid western Andes, endless plains to the Argentinean eastern side and the windswept and wooded Tierra del Fuego in the South. I can be in this less vegetated central area of Patagonia, either around the Andes or in the nearby Argentina plains where wildlife can often best be spotted. This area includes some of Patagonia’s most popular destinations such as Torres del Paine and El Chalten. 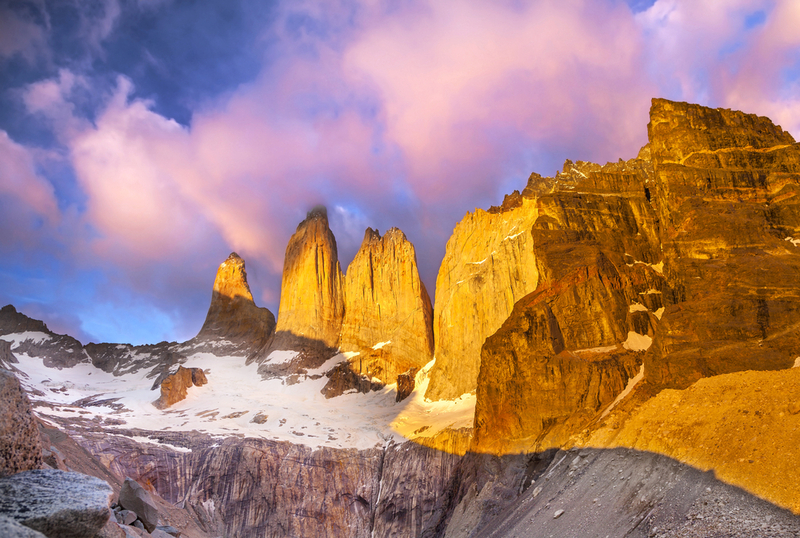 Both Torres del Paine and El Chalten will certainly keep the average photographer more than happy. Torres del Paine is still certainly one of the best places to photograph Pumas. Ruta 40. Photo credit: Shutterstock. The above said, due to the large amount of tourists in the area wildlife can be more prevalent in other areas. 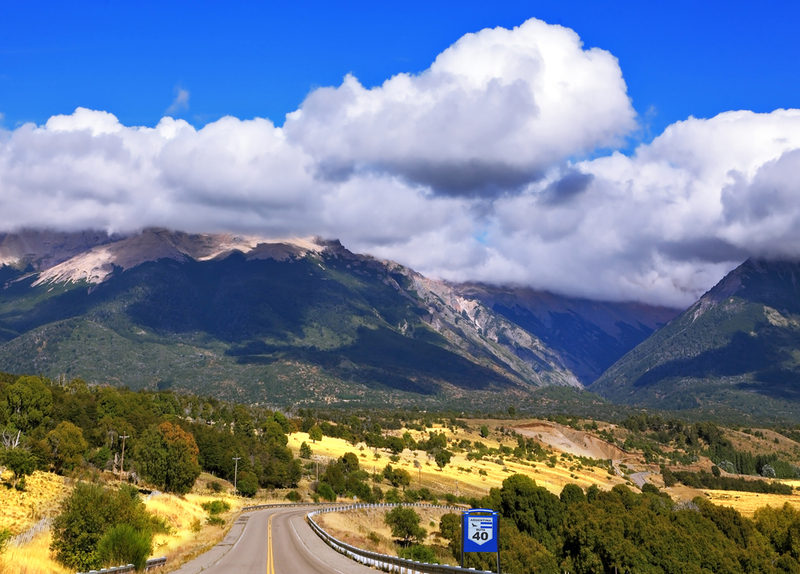 Suggestions include areas such as Ruta 40 or any of the remote, less visited between Torres del Paine and San Carlos de Bariloche such as Coyhaique, Cerro Castillo or Queulat National Park. If you want to get off the beaten track a little consider other, less popular options such as Argentina’s Iberia Wetlands, Venezuela’s Orinoco Delta, Almost anywhere in Costa Rica or Lake Nicaragua, in you guessed it, Nicaragua. Now you have read about how to plan your trip if you like wildlife in South America, read one of the other ways to plan your South America Tour and make your trip unforgettable.